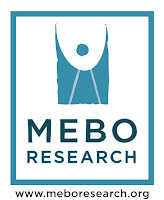 On February 2016, MEBO received the approval from ClinicalTrials.gov with Identifier, NCT02683876, so that we may to commence the Exploratory Study of Relationships Between Malodor and Urine Metabolomics, Sponsored by MEBO Research, Inc., with the University of Alberta, Canada as Collaborator. The aim of this study is the metabolomic profiling of urine samples for the identification of novel biomarkers, metabolic signatures associated with malodor conditions, and mechanisms in the diagnosis and management of malodor associated with metabolic inefficiencies. The investigators will perform state-of-the art metabolomics tests and bioinformatic data mining to explore whether conditions leading to malodor can be screened by metabolomic profiling of urine samples. MEBO's Scientific Director, Irene Gabashvili, PhD. is representing MEBO as the registered U.S. Principal Investigator of this study, and she is collaborating with the registered Principal Investigator, David Wishart, PhD, and his staff of the Metabolomics Innovation Centre (TMIC) of the University of Alberta, in Edmonton, Canada. All recruitment will be performed exclusively by MEBO. Anyone interested in participating in this program can express interest by email tomaria.delatorre@meboresearch.org. Please provide your legal name, address, and email address where you will be contacted to be invited to participate in the study. At the present time, the pilot study is commencing involving participants who reside in Canada and suffer from a malodor condition, and based on results, may expand to include sufferers from other countries. If you qualify and are interested in being a participant in the pilot study and have not yet been contacted, please express interest to the email above. Metabolic profiles will be identified using the metabolomics equipment located in the NMR, HPLC, and MS facilities of the Metabolomics Innovation Centre (TMIC). In this study, metabolite profiling analysis will be carried out on urine samples of individuals with malodor conditions related to metabolism inefficiencies. Metabolic profiles will be identified using the metabolomics equipment located in the NMR, HPLC, and MS facilities of the Metabolomics Innovation Centre (TMIC). Multivariate statistical analyses will be used, as well as other approaches to mine complex data from heterogeneous sources. For more information on this program, please see posts in this blog under tag, ‘Metabolomic Malodor Study’ and scroll down to see all posts. In an effort to maintain the integrity of the study, the staff at TMIC will not have any of your personal information, and you may be disqualified from the study if you contact the lab directly and divulge personal information. Confidentiality is of the utmost importance to MEBO and to this study. All information will remain confidential, and no one outside the MEBO staff in charge of this program will not have access to any of your personal information. In an effort to maintain the integrity of the study, the staff at TMIC will not have any of your personal information, and you may be disqualified from the study if you contact the lab directly and divulge personal information. All contact must be made through MEBO exclusively. Your cooperation in this matter would be greatly appreciated. Hi sorry this is off topic but is there any reason why the rareconnect website isn't working? Hi. It's probably being updated. Don't have any info but I wouldn't worry about it disappearing. They have good funding etc. Probably back tomorrow. The scientists are still pursuing significant funding (approximately $10 million US dollars) for the Clinical Trials phase. They are pursuing government and private grants. Once that has been achieved, I will post about it and the commencement of the Clinical Trials. Have they found the grant and just working through legal procedures or still lookin for grants? We won't be informed until the process is finalized. There were some interested leads, but we don't know how it's going. Sorry.